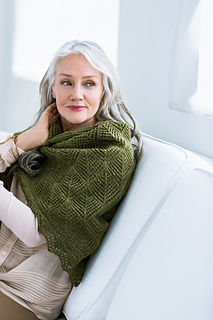 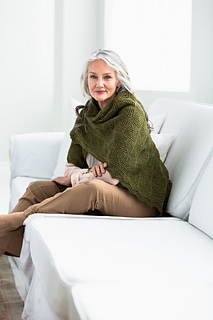 A tribute to a beautiful woodland in the designer’s native Shetland, this shawl uses a traditional lace motif to depict a copse of trees. 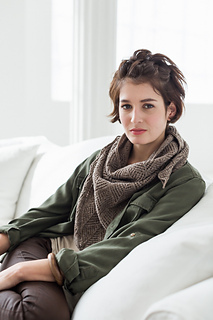 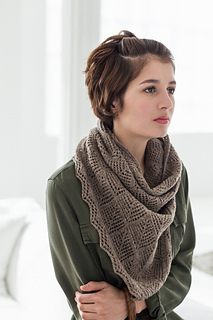 The triangular shape grows from a single stitch. 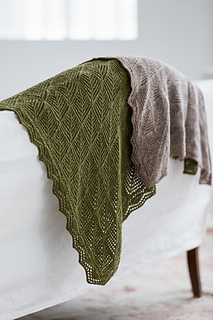 The stitches are left live along the long edge while yarn-over loops are picked up along the other two edges to anchor the lace edging, which is worked sideways (perpendicular to the body of the shawl). 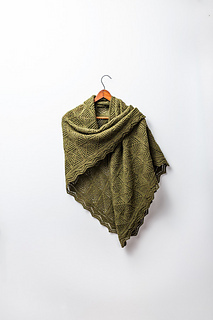 Halligarth can be worked as a shawlette or as a more traditional large shawl.